Since teaming up with Accuro in 2016, Webstruxure has helped them successfully launch two industry leading products and services, with more in the works for 2017. One of the projects was KidSmart. We provided user experience, web design, development and integration services in order to enable users to sign up to and manage their new KidSmart policy. 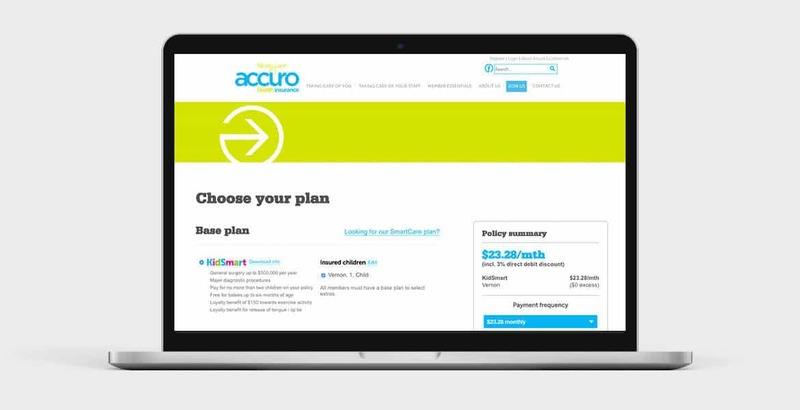 Accuro is a New Zealand-based company which provides a range of health insurance services. They are not-for-profit, owned by Kiwis, for Kiwis. 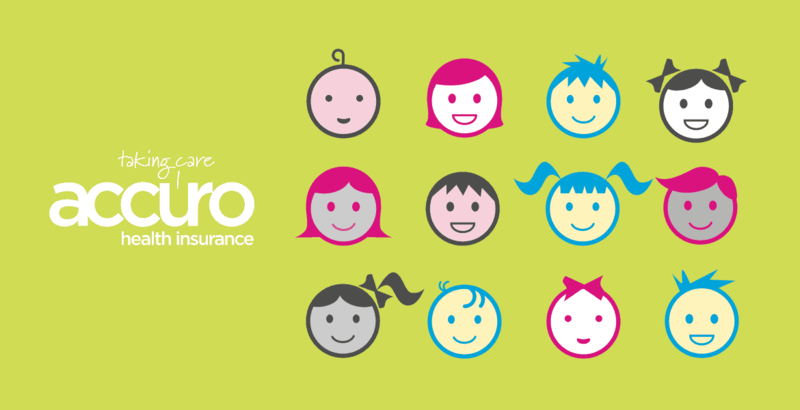 An industry first in New Zealand, KidSmart is a health insurance policy for babies and children. Unlike other health insurance for children, KidSmart provides insurance cover for a child without the child being attached to an adult’s policy. KidSmart is a special policy that guardians can take out for their children, grandchildren or dependants without having to take out cover for themselves. This means it’s possible (and easy) for family or whānau to gift KidSmart health insurance to the kids they love and care for. Accuro also recently launched a new online member portal which enables guardians to log in to their child(ren)’s policy online. Then they can check what a child is covered for, update their details, make changes to their policy, apply for pre-approval, and save and submit claims. Webstruxure undertook the user experience, web design and development work required to enable users to sign up to a KidSmart policy, and as a guardian, to manage their child’s membership through the online portal. Accuro needed to quickly adapt to a niche market opportunity, and we were able to help them deliver the new KidSmart product in just over four months from conception to launch. We did this by utilising existing technology we’d already created to leverage and build on Accuro’s existing investment. We’d previously developed a forms data model which takes customer data provided through Accuro’s online quote tool, and integrates it with their member management system. This data model is designed to help (rather than hinder) the user experience, and give the user ease of movement around the quote tool without waiting for complex back-end processes to run. (We’ve noticed this happens a lot for users completing forms which integrate with a database or internal system). The data model also allows the user to pause the process and come back later. We enabled users to sign up for a child-only policy online via the new quote tool. At every step we had to ensure complex legal requirements were satisfied. We also added extra functionality which enabled Accuro to use promo codes to collect data about where new members came from. The codes help Accuro to monitor results from their multi-channel launch campaign. We knew the timeframe was a challenge, but thanks to a truly collaborative approach with Accuro, we got there with a great result that we are all really proud of. Accuro’s CEO, Geoff Annals is committed to continued investment in innovative product and service offerings, including KidSmart. “While we are a not-for-profit, it is essential our members receive market-leading service and products,” Geoff says. Want to find out how Webstruxure can help you, too? If you need user experience design, web design, web development, integration (and more) for your own website, get in touch with our team today.